The Modern Workplace: New Labor Secretary Confirmed, DOL to Make Decisions Soon? Meanwhile, financial institutions and investment advisors are closely watching what Acosta’s DOL will do with respect to the “fiduciary rule” aimed at imposing new duties on financial advisors. The Obama administration had issued a final rule that was delayed by an order of President Trump. DOL’s next move on the rule will be determined by Acosta before the June 9, 2017 expiration of President Trump’s order. 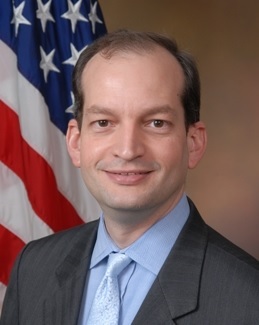 In addition to these high-profile decisions, Acosta will begin the process of filling dozens of political appointee vacancies at DOL, several of which will require Senate confirmation. All of these moves will be closely watched as the DOL is able to move forward with its leader in place.